There's a new tough guy transfer student in Tokyo. His name is Tokio and he's raring to see how scrappy the locals are. 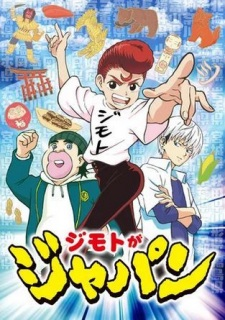 But when he comes face-to-face with a Japan-obsessed red-haired kid that won't leave him alone until he tells him exactly what prefecture he's from, his life takes a turn for the crazy! This kid isn't just Japan obsessed, he's developed a martial art based on all the different prefectures in the country!